We provide AC Drive Repair for industrial electronics nationwide. We have a regional AC Drive repair services covering the entire USA. Call us today at 1-800-681-7374 for quotes. Timely Quotations: We offer quotes on all AC Drive repair for calls within 24 hours. And there is no evaluation fee for the quote. Call us today at 1-800-681-7374 for quotes. Competitive Rates: Specialized Electronic Services rates are more than competitive for all AC Drive Repair, in fact, they are usually below industry standards. In addition, the repair costs are usually less than half the cost of replacement. In some cases, the cost of repair exceeds the reasonable cost of replacing the equipment. In these cases, we’ll let you know and give you the option of repair or replacement. If you need help with specifying a replacement, or a Full System Retrofit, our Engineering staff will help. You can call us to find out what our costs would be on AC Drive Repair as well as repairs on or off site. Many customers have said our pricing on AC Drive sales and VFD Drive sales are some of the best they have seen. Call us and compare at 1-800-681-7374. 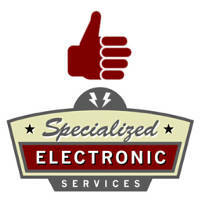 Specialized Electronics Services is the number one place for all your AC Drive Repair needs. Call us today at 1-800-681-7374 for AC Drive Repair needs.